Is it possible to be ruled by your moon sign? My boyfriend is a pisces but he doesn't act like a pisces. First when I met him I thought he was either a wind sign or a fire sign. He is neither. But he is either a gemini or a libra in his moon sign. Could he be ruled by his moon sign? your moon sign by itself does not rule you. It does affect you and it is affected by other planets in your chart. I am not an astrologist but know the basics and can psychically tune in to attractions. Sun signs are basic attributes but the moon and planets can affect the personality and often create extra challenges. Two people can be very compatible in a chart yet just one planet like Mars in the wrong place can trump that. Look for the CAPTAIN on here....she's good with astrology. 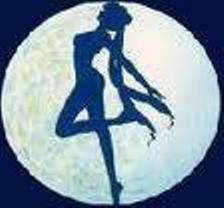 I do know the moon can affect attractions and can confuse those who feel the moons pull but yet have issues. The moon can create a psychic tie with others. It can give the illusion of soul mate and can confuse those that feel an intense attraction yet can't seem to make it work. How is your Pisces so different? Every sign has it's lower attributes and their higher evolved ones. I do not at the moment connect with your man. Give me something more specific and I will see what I get. BLESSINGS!